More than a home away from home with a luxurious interior design and mod-cons. Nestled in the beautiful and ancient Kilminorth Woodland, West Looe of Cornwall. A spacious and cosy dwelling amongst almost an acre of private lawned gardens, woodland and stream. Here you can find an abundance of wildlife, we have seen heron, peregrine, buzzards, swans and deer in the garden alone. Fish for salmon and trout in the stream. Kayak over the picturesque river of West Looe. Wade in the cool stream on a hot summers day, or snooze under the shade of the apple trees. Warm yourself by the log fire, hear the trickle of the river and watch the stars in this unspoilt and protected part of Cornwall. Shallow Pool is more than a home away from home with a touch of luxury to greet you after a woodland walk, a boat trip on the river or a day on the beach. Visit Cornwall's charming and prettiest coastal villages nearby. Experience Cornish dining and quench your thirst in the local award winning pubs and restaurants. We had been looking for a property in Cornwall for over 5 years and when we saw this one, it was perfect. A perfect place for our children to explore, to get away from the hustle and bustle of London, slow down and take a breath. I think it's easy to see why we fell in love with this one! When we are back at the grindstone in London we would like others to experience all it has to offer, it would be a shame not to share it. Shallow pool is a peaceful haven but not too far from civilisation by car. The bungalow is beautifully presented and the gardens absolutely stunning. We walked to Looe through woodland in about 45 minutes and the nearest beach is around 15 minutes drive.The silence at night just punctuated by sounds of wildlife- laying in the very soft comfortable bed listening to owls hooting was lovely. Sonia the host is very helpful and at the end of a text message should you need her. This was our 3rd visit to Shallowpool. Its an escape from our hectic lifestyles and we all love staying here. 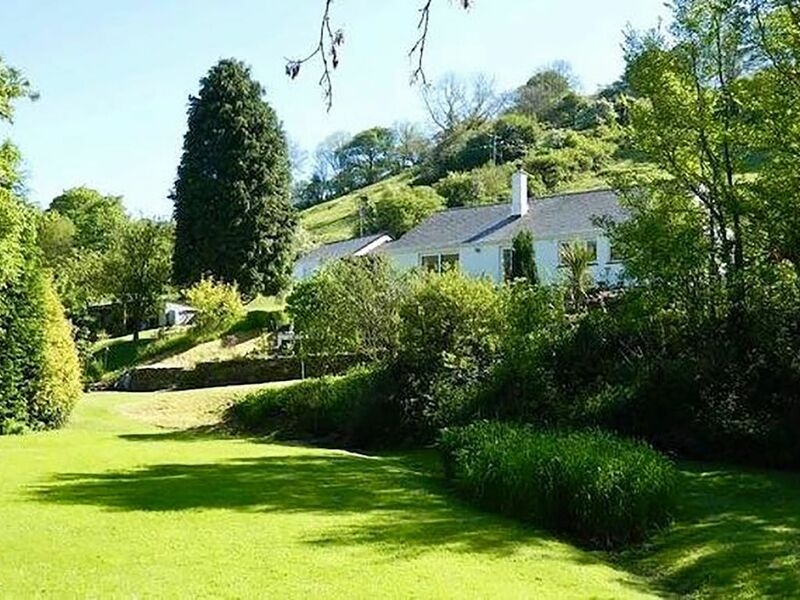 The house is tucked away in the countryside but Looe and Liskeard are still easily accessible, The house is warm and comfortable with all mod cons but oozes rustic charm. There are some great walks to be had, fantastic pubs to enjoy, books to read, games to play and you can unwind and forget about work. Sonia is a great host who looks after us every year. We would definitely recommend!! Four of us went down to visit my son in the Royal Navy in training at HMS Raleigh. We stayed at Shallow Pool with him for the weekend.Good spec throughout. We have a log burner at home so were happy to use the fire. Utility very useful for the dog, cleaning her up etc. All bedrroms comfortable and although the 3rd one is bunk beds they are full size and fitted our big adult sons. The garden is huge and full of interest and the walk from the back down to Looe is fabulous. Only comments were a few towels were missed off the 2nd bedroom which was fixed straight away by the owner and housekeeper who are both lovely. The housekeeper gave us a little washing powder which I had forgotten for my son's uniform! Honestly couldn't have had a better weekend. Great place for dark sky watchers although the clouds hid a lot we did see a few shooting stars and satellites.The roads are very narrow around here so not for the nervous driver type but worth making the effort of visiting. Would definitely visit again! Relaxed, comfortable retreat for all the family. Despite a sudden leap into winter temperatures, we enjoyed spending the week in this beautiful location accompanied by some glorious autumn sunshine! The additional instructions of how to find it were very useful and I'm sure saved us getting completely lost. The property was warm and most welcoming on arrival as was the welcome pack left for us.The garden being fenced in meant that the dogs could have freedom to do some exploring and the house itself was well equipped and within easy reach of some lovely walks. The reliable access to wifi was an added bonus with two teens who needed it for everything from online homework to social media which meant that we could also relax and not be moaned at! Everybody was very comfortable there and we would highly recommend it! The property was warm and inviting and well equipped. We had a comfortable and enjoyable stay. We had a peaceful and comfortable stay at Swallowpool. By far one of the most beautiful and relaxed places to stay! Absolutely loved our stay, it’s was just gorgeous! Such a nicely decorated house and the gardens are beautiful! perfect for our little family! Will defo be visiting again and hopefully staying here again. Visit the old fishing village of Looe, only a few minutes drive away, with it's sandy beaches and bustling harbour, winding streets and smugglers tavern's. A popular holiday desitination since the Victorian times. Nearby Polperro offers old world charm with it's enchanting cottages. Discover the wide open spaces of Bodmin Moor, the sheltered valley of Tamar and the esturary of Fowey set in an area of outstanding natural beauty. Many of these beach side fishing villages and harbours naturally boast great seafood restaurants from fish & chips on the beach to fine dining. There are excellent walks, from relaxing coastline strolls to wild and rugged landscapes through the moors. Always a friendly cafe or pub to look forward to resting in.